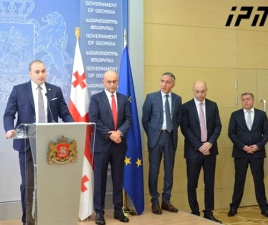 TBILISI, DFWatch–The faction supporting Mikheil Saakashvili narrowly won a debate at a National Movement party conference on Wednesday. A resolution was passed to hold a party convention in the format favored by the country’s former president. The party was on the verge of splitting in two as Saakashvili supporters stated that if they lost the vote they might leave the party en masse. 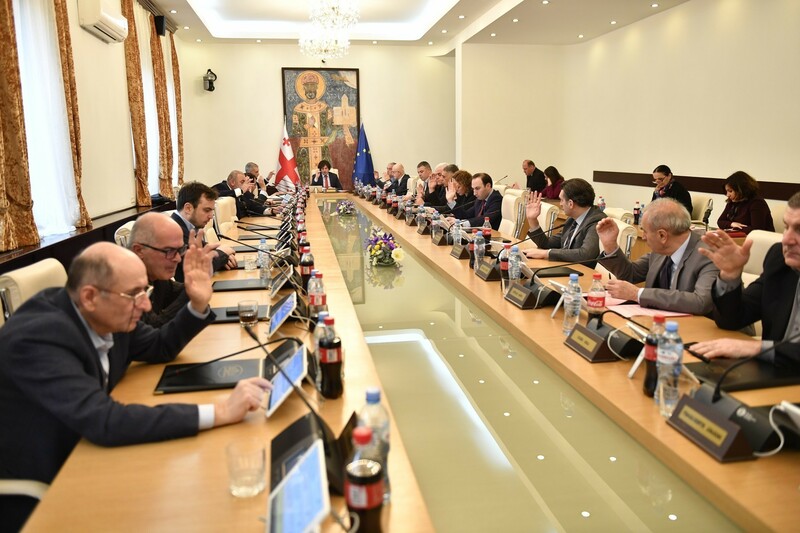 After the three hours long meeting the political council decided to have the party convention on January 20, in agreement with the proposal by Saakashvili supporters, while his opponents inside the party demanded holding it in the end of December. The council also decided to hold a 7,000-strong convention, instead of 2,000 favoured by Saakashvili opponents, which gives them a leverage to win a majority in order for the former president to remain the nominal leader of the party. The other side wants to elect Davit Bakradze, former speaker of parliament, as new formal leader. The meeting saw fierce debates and in the ballot Saakashvili supporters won 25 votes against 24 votes for his opponents, while one member abstained. 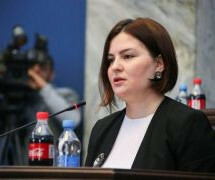 MP Chiora Taktakishvili announced after the meeting that “Misha’s team has won” and therefore, the party will not consider dismissing Saakashvili as leader, she emphasized. 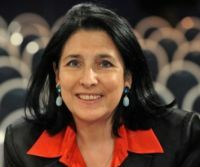 Prior to the council meeting, 22 UNM members released a statement emphasized that in the current situation it is ‘vitally important’ to hold a large party convention where at least 7,000 delegates turn out as a show of force and elect a new political council, the governing body of the party, and set out future plans for how to ‘defeat the Russian-sent oligarch’, Bidzina Ivanishvili. In the statement, council members are against re-electing a chairman of the party, a position occupied by former President Mikheil Saakashvili, who has been in an exile since 2012 and has formed a new party in Ukraine. The dilemma now confronting the party is weather it should elect a new leadership and rebrand itself over the next four years and make a comeback in the parliamentary elections in 2020, or allow Saakashvili, who is still technically the party’s chairman despite having acquired Ukrainian citizenship and been stripped of his Georgian citizenship, to remain as leader of the party and lead ot toward political suicide. 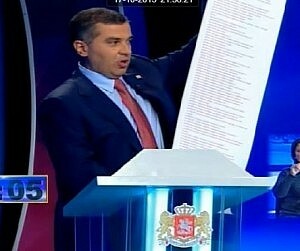 Formally, Saakashvili can’t hold the position as the party’s leader given that he has been stripped of his Georgian citizenship. 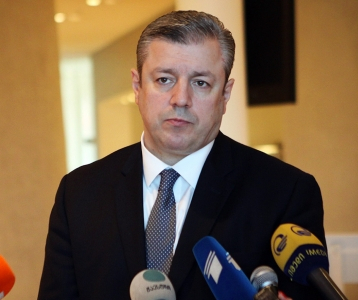 “The election of the new chairman will be a declaration from UNM that it does not consider itself a repressed party any longer and the political prisoners and political refugees from our party are no longer a matter of controversy between us and the oligarch Ivanishvili. It will be a declaration that the party distances itself from Mikheil Saakashvili, which will inflict irreparable damage to our struggle. There is not a single pragmatic argument in favor of this decision,” the statement reads. Immediately after the election in October, the National Movement appeared on the verge of splitting into two factions; one headed by Mikhail Saakashvili, who blasted fellow members for bowing to the ruling Georgian Dream (GD) party and pledged to boycott both the runoffs and the new parliament, and a rival group within the UNM leadership led by Giga Bokeria, the party’s foreign relations secretary, who wants fundamental changes and ‘new faces’ in the party. Bokeria’s faction is striving to rebrand the party and elect Davit Bakradze as a new formal leader. RIght after the first round of the October 8 parliamentary elections, there was another fierce debate inside the party about whether to boycott parliament because of alleged violations during the election, and whether to participate in the second round. Saakashvili advocated for a boycott, but his supporters lost a vote in the party’s political council.